Edinburgh Cleaning Services have offered affordable curtain cleaning services to Edinburgh and the surrounding areas since 2003. Our experienced cleaners come with the knowledge and the cleaning products to ensure the highest quality results. We understand that you lead a busy life. So our collection service provides you with a fast and efficient remedy to having too much on your plate to get essential chores done. 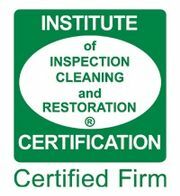 This is where our pick up and clean service will help you get the outcome you require. We will pick up and clean your curtains before dropping them back off as good as new. Call us today and take a weight off your mind. Alternatively, enjoy the convenience of having your curtains cleaned right there in your home. Edinburgh Cleaning Services provide an in-situ cleaning service for your curtains. So there's no need to wait around for deliveries and collections. You can sit back and let the professionals deal with it there and then. It is through this dedication to making our customers experience with us as smooth as possible we have got such a high reputation around Edinburgh. We go the extra mile to ensure our customers are satisfied. We now see the benefits of this great customer service and affordable prices as the majority of our customers now come through word of mouth. Call us today for a free no obligation quote on our curtain cleaning service. The best number to contact us on is 0131 660 0220. Alternatively, e-mail us via info@edinburghcleaningservices.co.uk and leave your details with us now.